ORTING, Wash.— The hustle and bustle surrounding the U.S. Open at Chambers Bay Golf Course in University place may make it difficult to find a good place to take dads to celebrate Father’s Day weekend, Saturday, June 20, and Sunday, June 21. But located just a tee’s throw from Mt. Rainier – far from the madding West Pierce County golf crowds – Chase Garden provides the ideal refuge: a beautiful, tranquil green space to while away the day, without dodging wayward golf balls or sidestepping sand traps. Chase Garden is open both Father’s Day weekend days from 10 a.m. to 3 p.m.
Called “one of the ten most beautiful gardens in America,” the Chase Garden, overlooking the Paradise side of Mt. Rainier, is truly “almost Paradise” for everyone who visits. 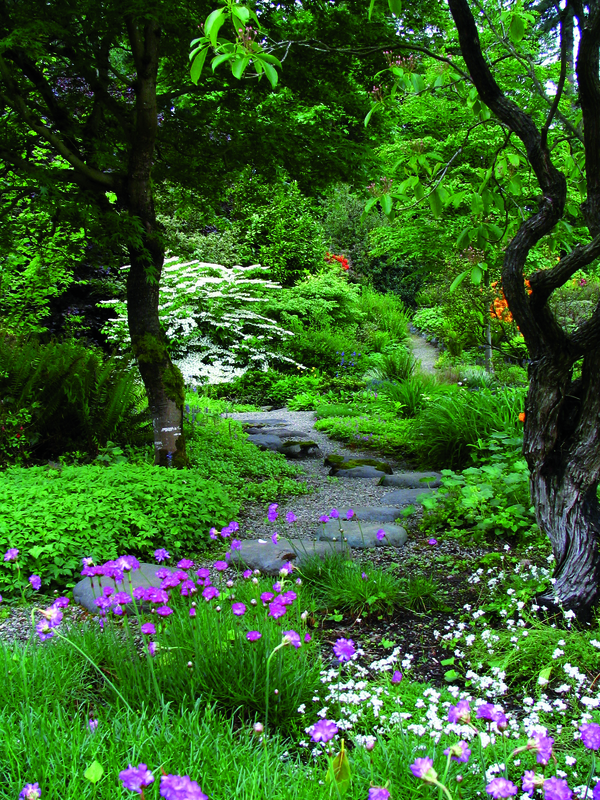 Open from 10 a.m. to 3 p.m., Wednesday through Sunday, from April to October, the Chase Garden, a Garden Conservancy preservation partner, is located at 16015 264th St. East, Orting, WA 98360. Adult admission is $8; tour groups $6 per person by prior arrangement; retired or active military with valid ID, buy one admission, get one free; children 12 and under, free. Tour groups and special events are always welcome. The garden grounds are available for rental by the hour, half day or full day.